Prince William and Kate Middleton are preparing for their three-week tour of New Zealand and Australia, but they aren't the only royals hitting the road. Prince Harry, 29, will be traveling soon, too, his office announced April 4, according to People. Harry will reportedly head to Estonia and Italy in May, with Brazil and Chile on his itinerary in June. In Estonia, the Afghan war veteran will thank the Estonian Defense Forces for their support of British troops in Afghanistan. Prince Harry is also expected to meet with wounded Estonian soldiers, including those treated alongside British servicemen and women at a rehabilitation center in the U.K. In Italy, Harry will attend commemorative events for the Italian campaign in WWII, focusing on 70th anniversary of the Battle of Monte Cassino. 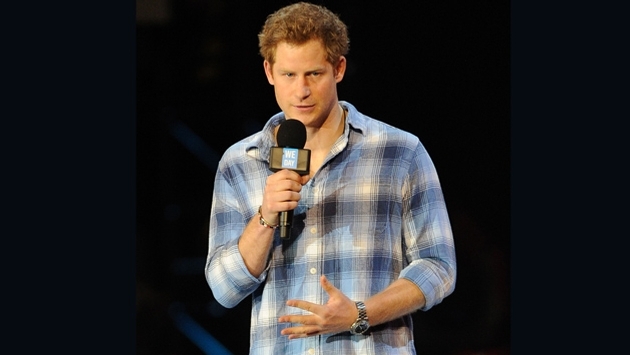 In June, Harry will travel to South America, where he will further enhance the "partnership between the United Kingdom and Brazil and Chile, and build on the links Prince Harry forged during his official visit to Brazil in March 2012," per the Palace. Both visits are on behalf of the U.K. Government and being organized by the Foreign and Commonwealth Office, says the palace.